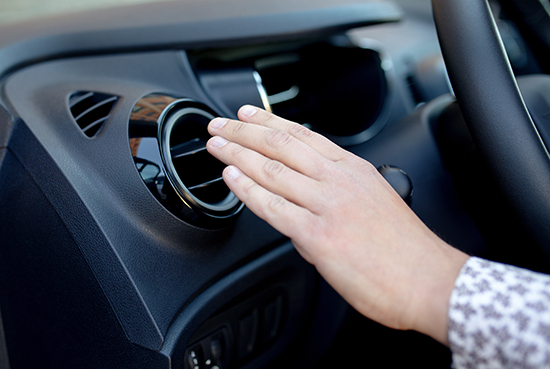 Summer's arrival means your vehicle's air conditioning system is going to be under a serious strain before long. If you haven't had your system serviced in a while, now's the time. While most newer vehicles may simply be able to get away with having their A/C recharged, older cars and trucks may require a little extra attention. If you think your A/C isn't as frosty as it used to be, but it's still blowing cold, the system may need to be recharged. While manufacturers used to use a type of refrigerant known as R-12, or Freon, researchers have found it is a leading cause of ozone depletion. As such, it's illegal to use Freon in vehicles built after 1994. 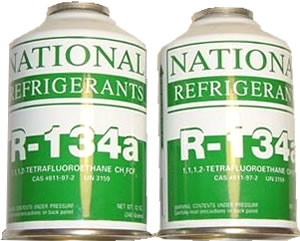 Now, manufacturers use R-134a to keep things cold in the cabin. 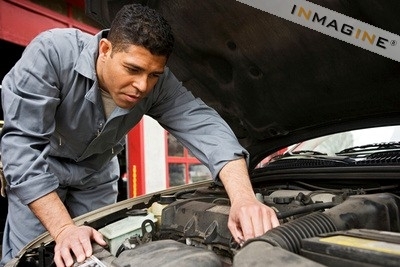 While you can technically recharge your vehicle's refrigerant yourself, it's best left to a qualified professional if you're not confident in vehicle maintenance. All refrigerants have a tendency to displace oxygen, which means if you accidentally evacuate the system, the stuff could literally push the air out of your lungs. Not fun. 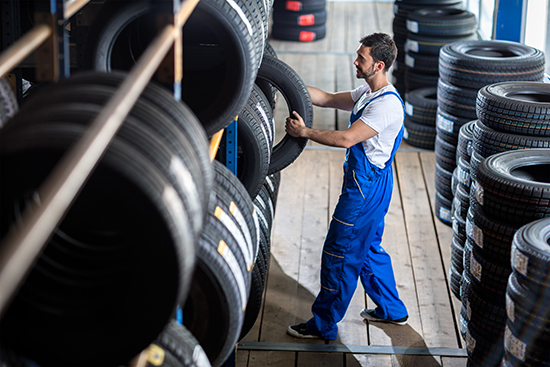 Once you take your car in, technicians will measure the amount of pressure in your system, and if it's low, they'll add enough to get the reading within your manufacturer's specifications. They will then run your car for a few minutes with the A/C on high and use a special thermometer to measure the system's output. If it's not within the necessary parameters, you may have a leak somewhere in your system. Fixing a leak is trickier than you may think. Your technician will hook your vehicle up to a special refrigerant recovery system and drain any of the harmful gas from your car. At this point, the technician will inspect all of your air conditioning hard lines to make sure there are no obvious cracks. They may add a tracer dye to the system to help out. The bad news is that leaks are sometimes hard to find, and tracer dye isn't necessarily a cure-all. The good news is, your expensive hard lines are usually made of aluminum and rarely fail. Instead, it's likely one of your system's components is the culprit. First up is your compressor. 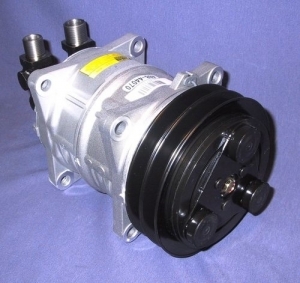 An air conditioning compressor is usually driven by your vehicle's serpentine belt, and as it spins, it pressurizes the system's refrigerant. Simply put, it's this change in pressure that cools the air coming into your cabin. An A/C compressor spins at a dizzying rate, and the more you use the cool side of your thermostat, the more likely it is to eventually fail or leak. One of the main differences between R-12 and R-134a is that the new refrigerant requires supplementary oil to be added to the system to make everything function. R-12 did not. If your compressor has run low on oil, it's possible the interior seals have failed and you'll need a new unit. Unfortunately, compressors aren't cheap. The best way to keep your compressor from failing is to have your A/C system serviced once a year, including the addition of the right kind of lubrication for your unit. If it does come down to replacing your compressor, most responsible shops will recommend going ahead and swapping out a number of periphery components at the same time. Why? The easy answer is working on an air conditioning system is about as much fun as sticking your hand in a blender. Twice. So to avoid draining your refrigerant, removing your compressor, installing a new unit and refilling the system with new cool stuff, only to have you come back in a week and say it's still not cold enough, it makes sense to replace the necessary components. It keeps you from having to waste time and money, and it makes sure they get the problem solved the first time. Another possible culprit for a leaking system is your condenser. 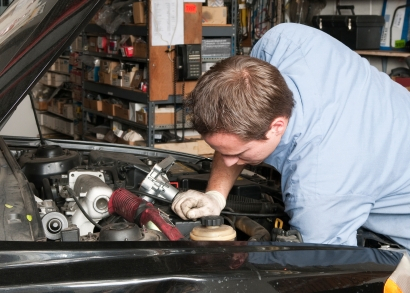 A condenser is basically a large heat exchanger, usually located in the front of your vehicle's engine bay. It looks a little like a small radiator, and since it is exposed to oncoming air, it may get hit by debris as well. If your condenser has been struck by a rock or some other flying material, that may be your problem. If your condenser turns out to be ok, your technician may recommend swapping out a number of tidbits, including your receiver dryer, evaporator and expansion valve. If your head's spinning, don't worry. All of the pieces are essential to how chilly things get inside of your car. The receiver dryer, for instance, pulls condensation out of your refrigerant. This is important because when water mixes with R-134a, it creates a corrosive acid that will degrade your A/C system rapidly. Your evaporator, on the other hand, is essential to the refrigerant's change from a gas to a liquid. That change is essential to how well your system cools. If your evaporator isn't functioning at max capacity, your A/C won't either. Similarly, the expansion valve acts as a gatekeeper, deciding how much refrigerant makes it into the evaporator. The more R-134a the system needs, the more the expansion valve opens. Obviously, if your expansion valve is not working properly, your air conditioning system is not going to be at its best. Though a technician could theoretically remove and test each and every individual piece of your system, most of these parts have a similar shelf life. If one has gone bad, it's usually only a matter of time before another fails. Instead of having on-again off-again air conditioning, it's usually best to simply take your mechanic's advice and replace what he or she recommends.